Biker shorts, issa trend. If you follow street style, you’ve probably noticed Kim K, Hailey Baldwin, or maybe Emily Ratajkowski rocking biker shorts like it’s their job. Get full on into this newest take on athleisure and pair biker shorts with a sports bra and kicks. I like Reebok for it’s nostalgic feel, and so opted for their classic white sneakers (p.s. you’ll be wearing these with everything from jeans to dresses) and a matching logo bra. A fanny pack in lieu of a purse keeps the sporty vibe alive. 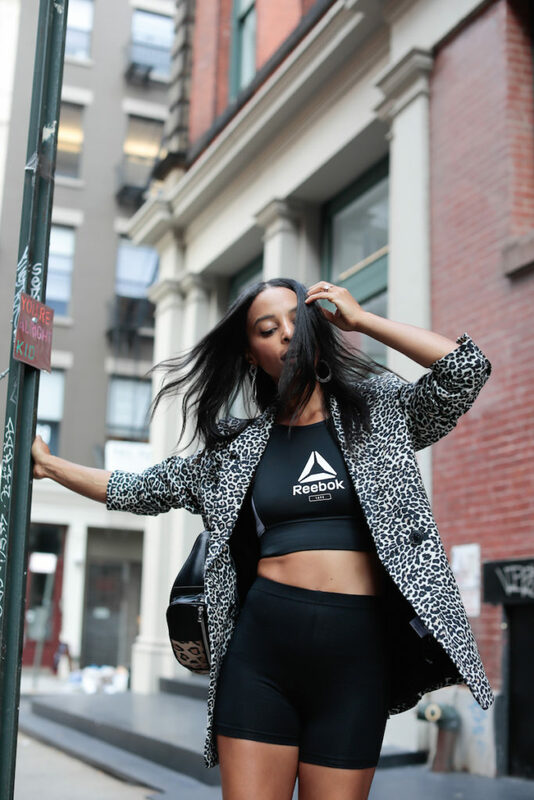 Shop my edit of sporty pieces from Reebok above that are sure to uplevel your athleisure street style game. Thinking I might outfit repeat this look for fashion week.